Subarachnoid hemorrhage (SAH) is a type of stroke that happens when a blood vessel breaks. Blood quickly fills the site around the brain and spinal cord. This space has fluid that cushions and protects the brain and spinal cord. SAH is a threat to life. Emergency care is needed. SAH may raise the pressure around the brain. It can get in the way of how the brain works. If you have these symptoms, call for emergency medical services right away. Early care can lower the amount of harm to the brain. The fluid in your spine may need to be tested. This can be done with a lumbar puncture . SAH is a serious problem. You will need to be treated in the intensive care unit. Despite treatment, many people with SAH die. Once you are stable, you will need to be in a rehabilitation program. Aneurysms present from birth can’t be prevented. Because they are so rare, doctors don’t advise screening for them. If an unruptured aneurysm is found by chance in a young person, the doctor may do surgery. Awad I. The riddle of association, causation, and prevention of subarachnoid hemorrhage. J Neurol Neurosurg Psych. 2012;83(11):1035. Awad IA. When blood tickles the brain: Where is the argument? World Neurosurg. 2013;79(5-6):636-637. Broderick J, Connolly S, Feldmann E, et al. Guidelines for the management of spontaneous intracerebral hemorrhage in adults: 2007 update: A guideline from the American Heart Association/American Stroke Association Stroke Council, High Blood Pressure Research Council, and the Quality of Care and Outcomes in Research Interdisciplinary Working Group. Stroke. 2007;38(6):2001-2023. Feigin V, Parag V, et al. Smoking and elevated blood pressure are the most important risk factors for subarachnoid hemorrhage in the Asia-pacific region: An overview of 26 cohorts involving 306,620 participants. Stroke. 2005;36(7):1360-1365. Feigin VL, Rinkel GJ, Lawes CM, et al. Risk factors for subarachnoid hemorrhage: An updated systematic review of epidemiological studies. Stroke. 2005;36(12):2773-3780. Ingall T, Asplund K, Mähönen M, Bonita R. A multinational comparison of subarachnoid hemorrhage epidemiology in the WHO MONICA stroke study. Stroke. 2000;31(5):1054-1061. Jabbour PM, Tjoumakaris SI, Rosenwasser RH. Endovascular management of intracranial aneurysms. Neurosurg Clin N Amer. 2009;20(4):383-398. Bederson JB, Connolly ES Jr, Batjer HH, et al. Guidelines for the management of aneurysmal subarachnoid hemorrhage. A statement for healthcare professionals from a special writing group of the Stroke Council, American Heart Association. Stroke. 2009;40(3):994-1025. Stroke rehabilitation. EBSCO DynaMed Plus website. Available at: http://www.dynamed.com/topics/dmp~AN~T580145/Stroke-rehabilitation . Updated March 23, 2018. Accessed June 25, 2018. Suarez JI, Tarr RW, Selman WR. Aneurysmal subarachnoid hemorrhage. N Engl J Med. 2006;354(4):387-396. Subarachnoid hemorrhage. EBSCO DynaMed Plus website. Available at: http://www.dynamed.com/topics/dmp~AN~T116453/Subarachnoid-hemorrhage . Updated June 6, 2018. Accessed June 25, 2018.
van Gijn J, Kerr RS, Rinkel GJ. 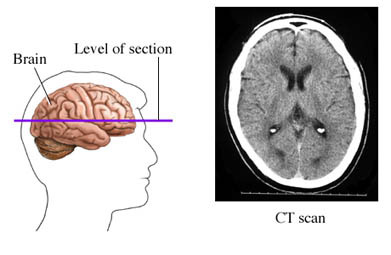 Subarachnoid haemorrhage. Lancet. 2007;269(9558):306-318.